Australian of the Year, another apologist for Islam, promoted as supporter of womens rights. Interesting concept! Australia’s top civilian accolade has once again been perverted by politics. In an interesting choice of priority the newly minted agent of Left Progressive politics, the Australian of the Year, David Morrison, immediately takes aim and gives us a sermon on the plight of Islamists in Australia. This guy who happens to be the Ex Chief of the Australian Army, earned his accolade by championing cultural diversity and women’s rights within the Australian Army. Now encouraged by the dominant Liberal Left progressive media, academic and political elite, he feels this recognition gives him some authority to keep harping on about how the rest of Australian Society treats Muslims. What has he not learned from his own troops on the ground in Afghanistan and the Middle East about the Islamist culture and its treatment of women? How can he seriously stand there one minute fighting for the rights of women which I do believe is admirable, and then turn around and admonish the Australian people and our culture for not being nice enough to Islam and its followers. Again we have a newly minted member of the political elite, just endowed with one of the Nations and our cultures highest honours, who feels the need to immediately turn on the people of this country and decry them as racists and misogynists. Thanks David, some of us might have thought you could show some gratitude, considering your personal luck and good fortune to have been brought up in perhaps one of, if not the, most free and open societies to exist on this planet at any time. Drunk and giddy with power following a successful Coup d’état that removed Elected Prime Minister Tony Abbott the left progressive media and political left have successfully lobbied to totally politicise the Australian of the year Awards once again. 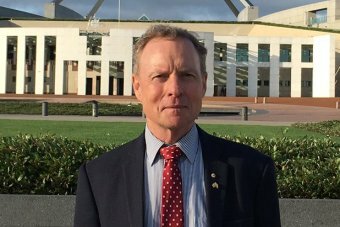 Australian of the Year David Morrison says religious discrimination is “without a doubt” alive and well, pointing to the Islamic community as the subject of particularly unfair commentary and calling for Australians to understand the challenges they face. 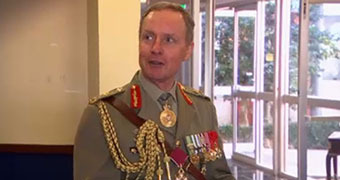 The morning after he received the top Australia Day award at a ceremony in Canberra for his work in striving for gender equality, the former Army chief told ABC News Breakfast that Australia should not allow discrimination of any kind. “We hold people back in this country for the most peculiar of reasons — their gender or the god they believe in or the colour of their skin or sexual orientation,” he said. The Lieutenant General, who retired last year after 36 years with the Army, said the Islamic community in particular was facing significant challenges in Australia. “Without doubt there has been a great focus on the Islamic community; a lot of the commentary I think has been very unfair,” General Morrison said. “I think we need to listen to the men and women of Islamic faith who are part of Australia’s society. “We need to understand the challenges they face. “We need to see where the rest of Australia can work with them. The inside story of 2016 Australian of the Year David Morrison, and the women he says opened his eyes and changed his thinking. General Morrison made headlines in 2013 when he ordered soldiers to “get out” of the military if they could not respect women as equals, after it was revealed dozens of members were involved in the distribution of hundreds of sexually explicit emails. He described his mood in that video as one of deep concern and anger. “There were people who had been made victims and I was concerned for them. Beyond that, I was deeply concerned about the reputation of this great national institution, the Australian Army,” he said this morning. “I was starting to become increasingly angry about the fact that the institution and the culture was denying people — women, but others as well — the opportunity to reach their potential. General Morrison said he would focus on three areas over the next year: domestic violence, diversity and the gender pay gap and the republican movement. He threw his support behind the latter at the Canberra ceremony on Monday night, saying it was time start the conversation about an Australian head of state. Search the full Australia Day honours list: do you know anyone? Next Next post: EU spits in the face of Britain and Democracy, humiliating David Cameron on immigration, we will decide who you let into your country and under what terms.